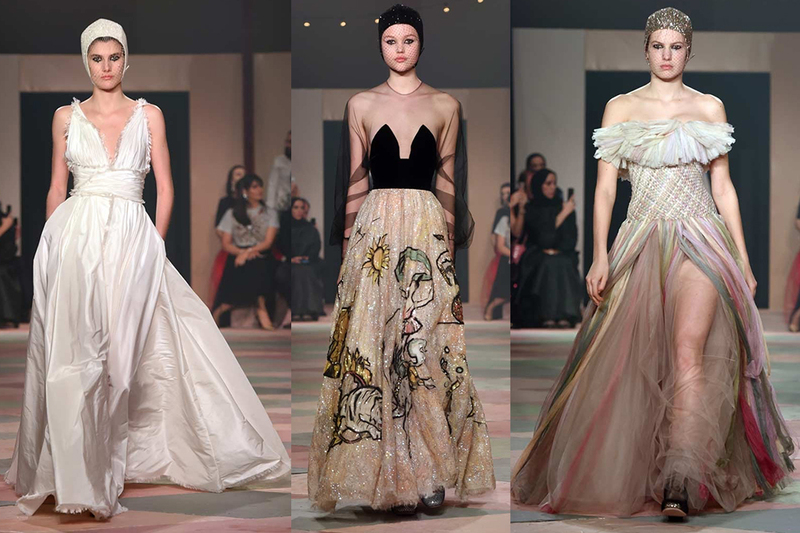 The invitation-only show, which featured a new 15-piece capsule collection for the region, is unequivocal proof the UAE is making a place for itself on the fashion map. 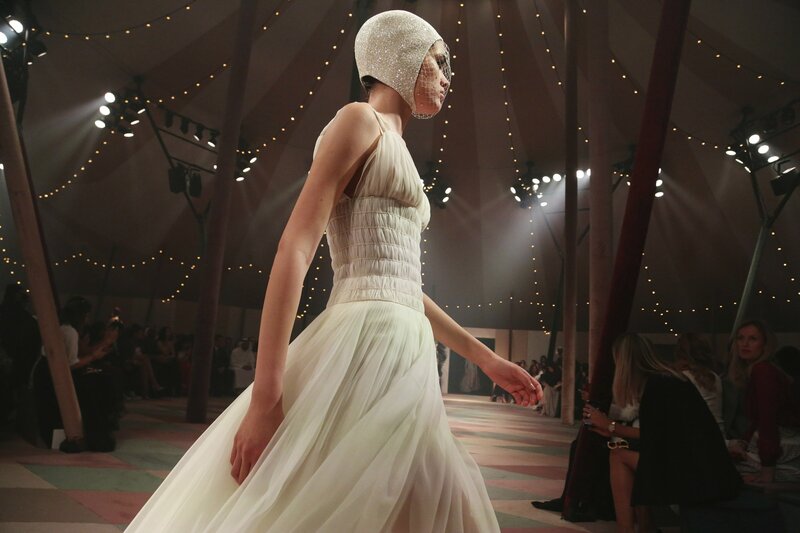 Dior re-enacted its circus-themed spring/summer haute couture show in Dubai Monday. And for its first show in the emirate, the French house put on a dazzling spectacle and unveiled 15 new designs created especially for a design conscious Mideast and Gulf-based audience. The extravagant evening saw a crowd of fashionistas, social media figures, celebrities, buyers, designers and editors sitting under a large circus-style tent in the city’s verdant Safa Park to view the finest craftsmanship featuring an interpretation of all things circus. They also enjoyed mingling at a buzzing after party. The luxury maison has a history with the big top, with the circus theme first showing in a 1955-styled photo and re-emerging under John Galliano's creative direction. For this show, they transported the same vintage-style circus tent with harlequin-checked flooring that was used in the house’s January show in Paris. And instead of the all-female Mimbre troop that performed in the French capital, fire spinners and performers perched on balls and unicycles entertained the well-heeled guests. To re-inforce Dior’s ties with its GCC and Middle Eastern customers, Maria Grazia Chiuri, the first woman to lead the legendary French label, designed 15 select pieces. “Every time we move to another country, in some ways it’s the location that gives us inspiration … When you think about Dubai, you think of a place that in a sense is very Mediterranean, where there is the sun. So we used more colour, different techniques, different shapes,” Chiuri said in an interview with AFP. Oozing glamour and glitz, the pieces included a multi-layered sparkling mini-dress and an iridescent ruffled gown featuring a clown collar. The theatrical runway show also included gold-themed capsule accessories starring brand icons such as the “Lady Dior” and “Saddle” bags. Plus, standout glittering tights, pleated capes, shiny lace-up boots, shimmering skull caps and face veils all added a special touch. The memorable finale featured all the 15 looks, which came in colours like gold, red, minty green and lavender. 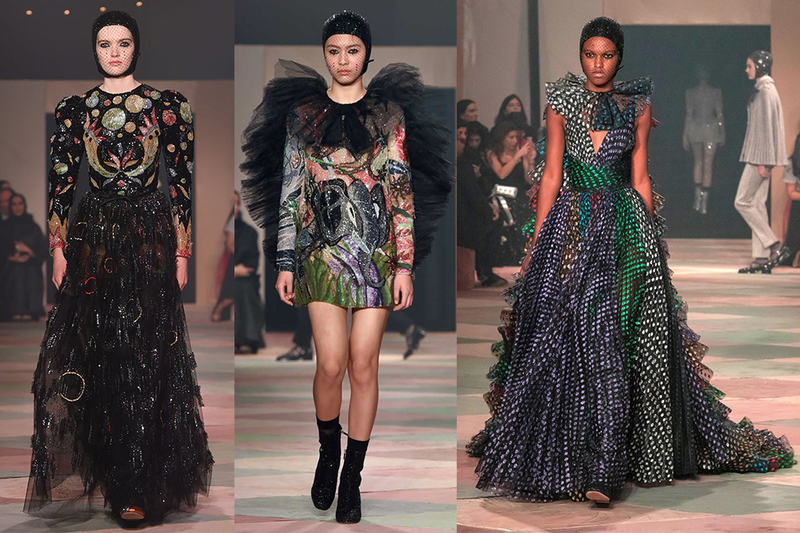 The haute couture collection also included a tattooed body suit and a tulle jumpsuit with satin bands, which created multi-coloured streaks, and melodramatically square shoulders. 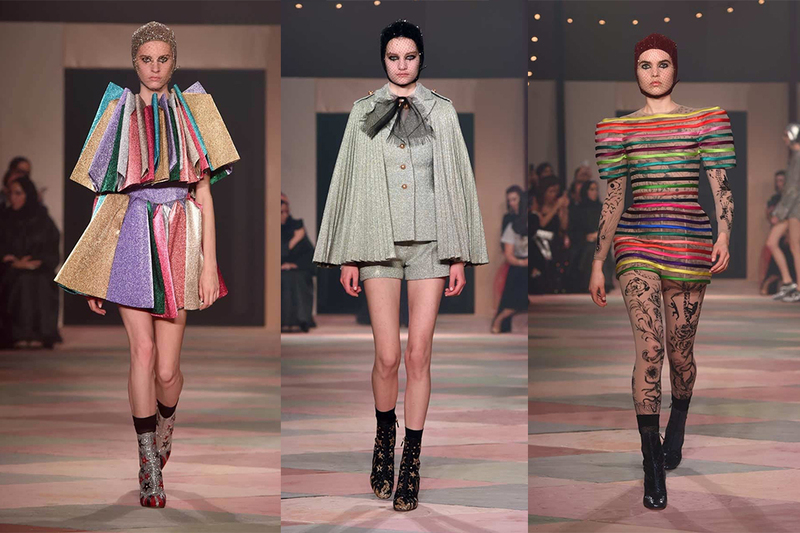 Some of the other notable pieces in the show were the ringmaster blazers, lion-tamer jackets, sheer shirts with frayed ribbons,multi-hued polka dotted gowns and sequinned rompers and skirts. For the show, Peter Philipps, the Creative and Image Director of Christian Dior Make-up, created a dark and dramatic look with punkish black-lined eyes. Rosy lips kept the emphasis on the eyes, which also conjured images of Pierrot clowns, while a radiant complexion and smooth ponytails perfectly finished off the look.